I’ve recently started trying to identify bottlenecks in my workflow and take a little bit of time to see if I can make things a little easier with automation. It’s always a tradeoff between the time spent automating something and actually getting work done. In this case, I can say the balance tipped way over to the side of saving me a great amount of time. I frequently have to do code reviews. I try to dedicate a specific time of day to work on code reviews so I can focus on them and knock them out prior to other work. In a lot of cases, people are waiting on those pull requests so they can move forward with their work. 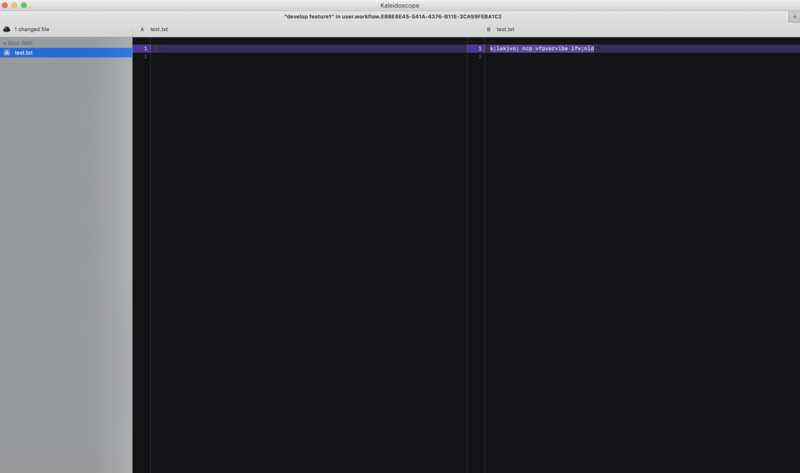 I use Kaleidoscope to perform diffs and to resolve merge conflicts. I discovered after a while, I was doing a dance between several applications to get my code review done. Use the ksdiff command to open Kaleidoscope and perform a diff between the current branch (which was the proposed changes int he pull request) asnd the develop branch. There is really only 1 setup step that will be specific to your environment. 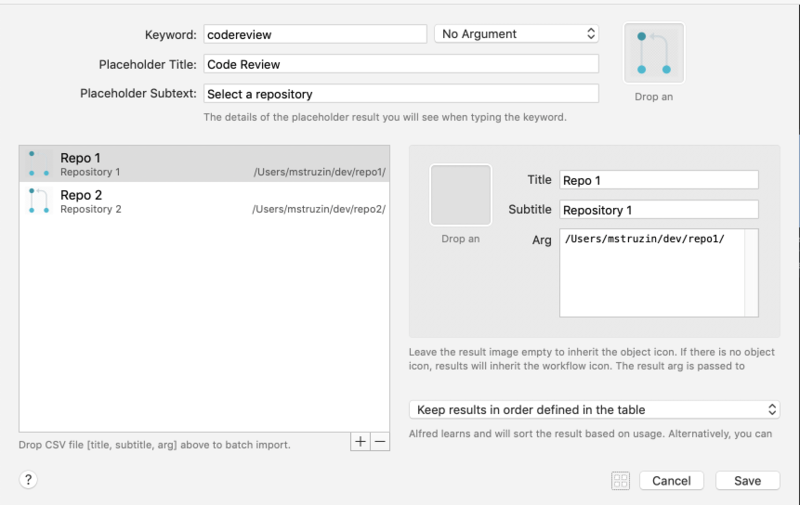 You will need to open the workflow and edit the initial List Filter to include a list of repo locations that you want to be able to use for code review. After that, you should be able to open Alfred and use the keyword codereview to trigger your initial list of code review options. I pushed this workflow to a GitHub Repo as well. I hope it helps abyone who happens to use the same tools!